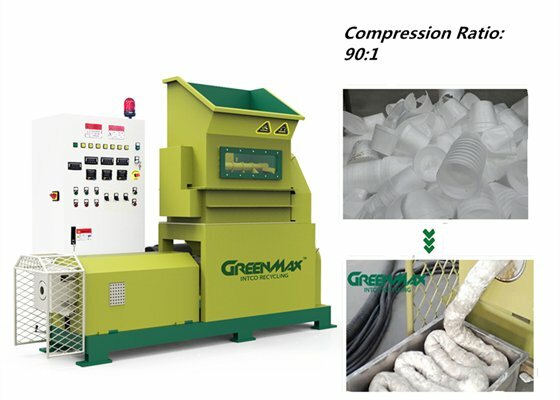 GREENMAX MARS C200 densifier is a kind of high efficient Styrofoam melting machine. The machines are equipped with famous brand components, such as SIEMENS, PHOENIX, SCHNEIDER, etc. The melting technology enables continuous output at a ratio of 90:1, high density, high security and low utility consumption. Different from the Styrofoam compactor, the melting technology can melt down the foam to a block, and the block is hard like a stone, which is easy to transport and also save space and energy.